A graduate of the Wharton School, Howard worked for over 20 years in the world's top financial institutions before dedicating himself to working for family businesses and individuals. A native New Yorker, Howard has lived in the Plano/Frisco area for 15 years and has never looked back (although he's still a die-hard Mets fan). Howard speaks fluent Spanish having spent several years living in Argentina. 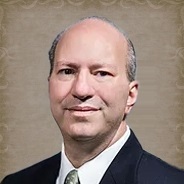 Howard is a licensed CPA and is a member of the AICPA and the Texas Society of CPAs. He is also a Quick Books ProAdvisor.